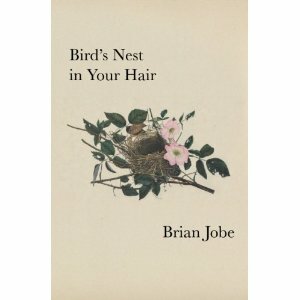 My friend Brian Jobe’s sleek little paperback bombshell from humble lil’ Korrektiv Press. 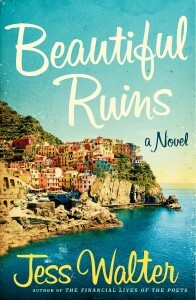 My friend Jess Walter’s hardback blockbuster from a big bad New York publisher. My friends and dear readers: Hardback or paperback, eInk or pulpmill stink, it makes no difference. I advise you get your hands on both of these books (buy them, steal them, borrow them, barter firearms for them on the Russian black market; I don’t care how you get them, just get them) and read them at your earliest convenience. I read a hardback book once. It was called, “The Pain and the Glory” by the great Oakland Raider Hall of Fame center, Jim Otto. I saw Otto once in the Metropolitan Grill with Al Davis and some current players. They burned my steak, but more significantly I got the cold shoulder from Otto when I approached him at his table. I guess I broke the celebrity restaurant rules. We booked a room at the Alexis, it smelled like cigarettes which bothered Mrs Webb and we came home a little after midnight. That was a bad anniversary. Good luck with the hardbacks. I am so sorry to hear that a center rejected your fandom. In my happy dreamworld, a center is gratified to know that someone understands his greatness. But maybe it’s just cuz he was a Raider. Also sorry to hear you had a bad anniversary. My Dad was a Raider. He’s very friendly. I think I remember him, played back in the Laney College days when Davis was coach. The grass was really something back then. Even a bad anniversary with Mrs Webb has got to be better than a ‘good’ night with Kay Stone. Meanwhile, Lickona and Loyola Press have made the beast with two backs. I’m not even gonna tell you what was missing when I woke up after that affair. You guys are wags, but thanks for the sympathy and the shameless plug. I’m not even going to ask about Loyola. You were drunk, you were young. You’re not ashamed.